We regularly review various books in this field, and we hope you find these useful. Many of the books we review are available to buy from the MCSCI shop. An easily-readable and thoroughly researched study of what appears to be a new phenomenon in the history of the interaction of Christianity and Islam. 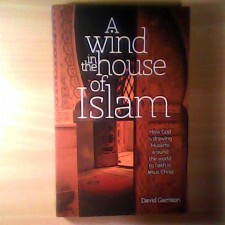 Author David Garrison is able to state without a doubt that there is now an unprecedented level of movement of Muslims to faith in Jesus Christ, not only as a prophet of Islam but as the divine Son of God. A fast-paced walk through the dramatic personal tale of Nabeel Qureshi, and his unexpected conversion from Muslim to Christian. Nabeel was brought up in a devout Muslim home. This background led him to a trust in the truth of Islam which was unquestioning, despite being a good critical student in mainstream education. 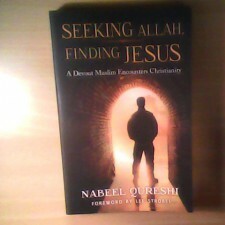 Nabeel began to apply the enquiring attitude of his scientific training and studies, to matters of faith – both for Christianity and Islam. Selecting three key issues from both religions, he determined to prove by thorough investigation that Islam was the true revelation of god, and that Christianity was not trustworthy. A book which can be completed by a determined reader in a few hours, or at a more leisurely pace over the course of a week, this is highly recommended reading.